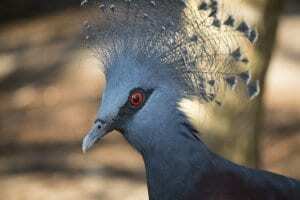 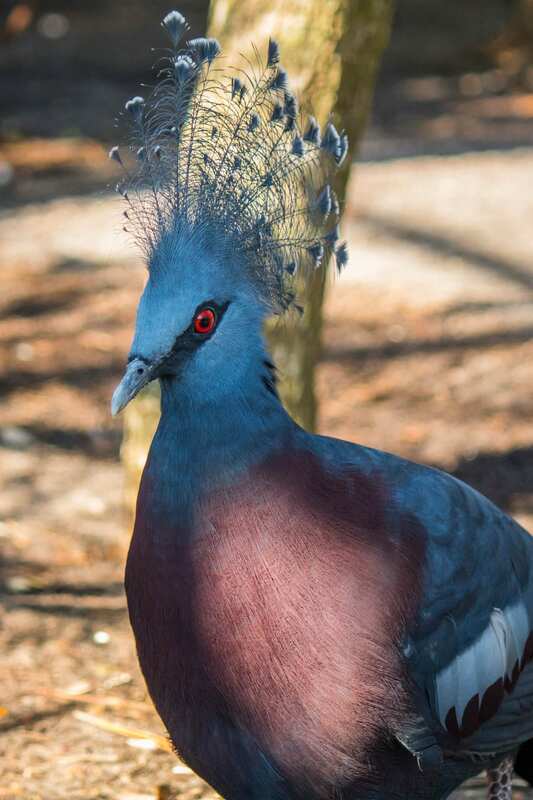 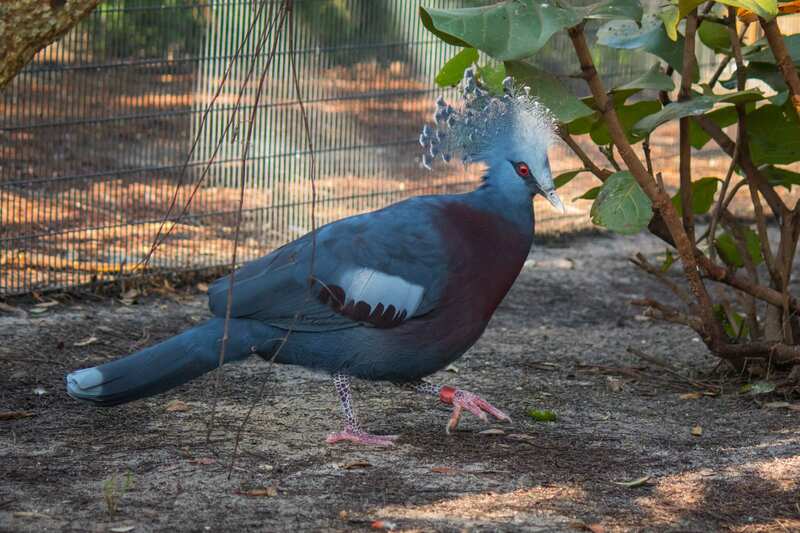 These are the largest pigeons in the world and are easily recognizable by the spectacular crest of lacy feathers on their head, from which they earn their common name. 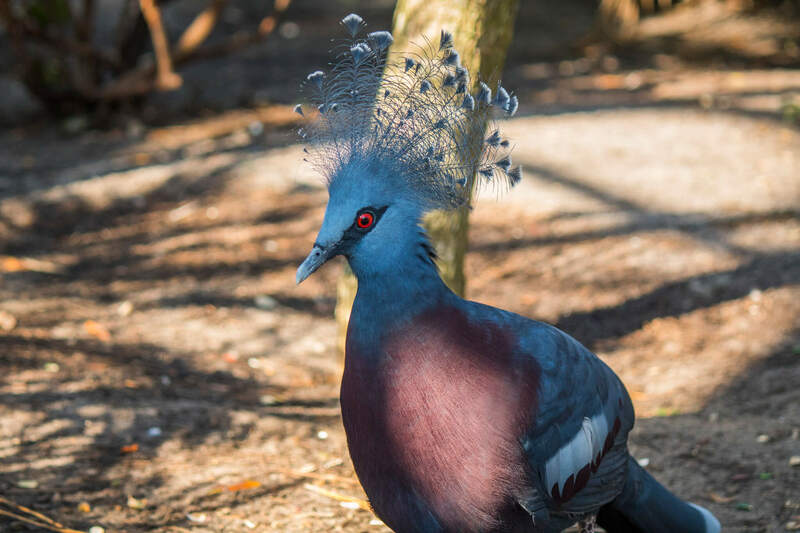 These birds are monogomous and tend to mate for life. 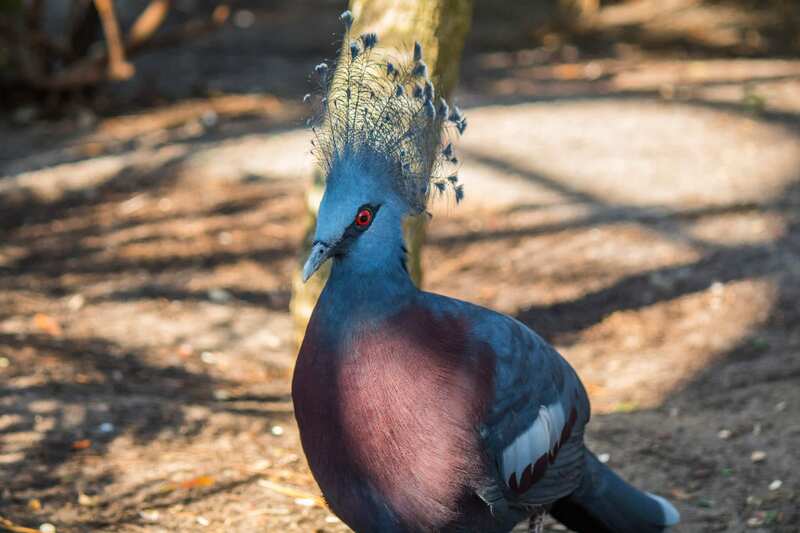 The male courts the female by bowing before her, wagging his fanned tail and making “booming noises,” followed by bringing her sticks. 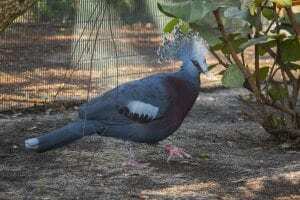 Pigeons, like flamingos, have the unusual ability for a bird to create milk for their young.